On the evening of May 17, following the annual CEW luncheon, the award winners for the 2013 Best Beauty Products were announced. The amount of product categories is substantial and has been split into skincare product winners and hair and makeup product winners. Readers can find a link below for the 2013 CEW Best Beauty Products Skincare Edition. One of the best aspects of the CEW awards is the information provided to consumers. Each product entered into CEW’s annual contest, goes through rigorous scrutiny by the top beauty industry leaders. This year, 5,000 industry experts chose these products. These are the people who understand the true inner workings of the beauty products that we may purchase. The Makeup Examiner was not able to attend yesterday afternoon’s luncheon, but was fortunate to be able to get readers information fairly quickly and promises to attend the 2014 awards so as to provide immediate coverage. 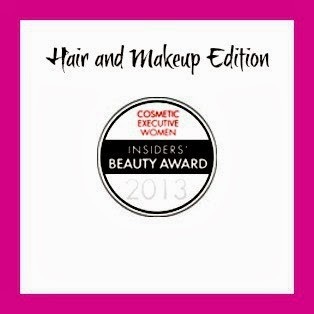 Here is the list of makeup products that are the 2013 CEW Beauty Award winners. For the 2013 CEW Best Beauty Products Skincare Edition please visit “CEW Skincare Edition,” which has been hyperlinked for your convenience.